Found the sticker for my Evo while cleaning out the desk. 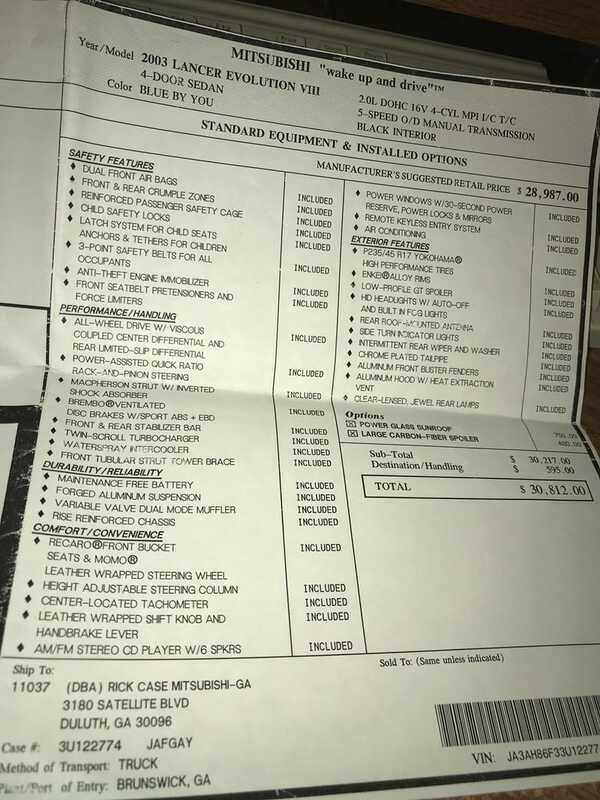 I got it for invoice, so the price is a bit different, but it is interesting to see all the equipment listed. Also, I need to get parts so I can get the car back in the road.